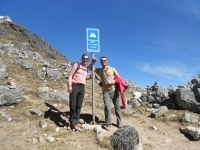 Wir (36m/31w) haben die Salkantay Tour mit Inca Trail Reservations gemacht! 4600m am höchstens Punkt. Es war traumhaft Gletscher, Dschungel, gute Wege, anspruchsvolle Abstiege.... Alles in allem gut machbar. Trek was great! The first couple of days were hard, but doable if you're relatively in shape and the guides were very encouraging. It was awesome to meet everyone in your group from all over the world too! Away from lands of busy schedules and media, I was so thrilled about the planned trip. 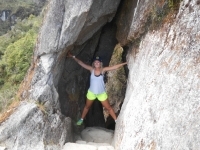 The trek was everything I expected it to be emotionally, spiritually and physically. 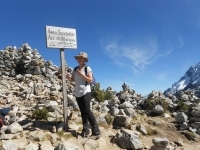 This trek is certainly not for the faint of heart... however, those who choose to attempt it are not disappointed. 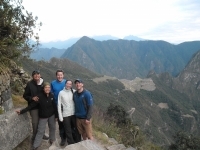 From start to finish, the Inca Trail was an amazing journey. I came into the trip thinking that it wouldn't be as difficult as it was, but it was really challenging! I am thankful for such a great group of people who were so helpful and patient with my altitude sickness! I am thankful also for Manuel, our tour guide who was encouraging throughout the whole trip. I really enjoyed the trip, especially the different landscapes, like nice valleys with rivers, the high-jungle and the dry highlands with only rocks and grass. I like the views from the higher points of the trek, you can see green hills and behind the white mountain peeks. 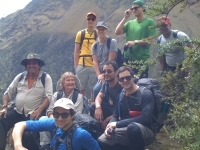 The Salkantay tour was a great tour! 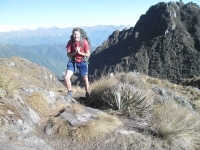 We have been through jungles and over high mountains, with an experience guide, which told a lot of stories (some of them even true), we experienced a lot and became a great group of people. 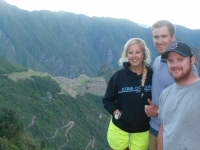 Our four day trek to Machu Picchu was amazing. Our guide, Grober was obviously so passionate about his heritage, as well as making sure we had an enjoyable time. 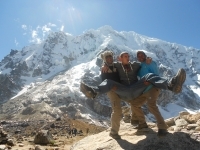 The trek was without a doubt one of the greatest thing I have done, the food prepared by Domingo was exceptional and the porters were hard working and friendly. 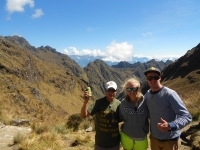 The four day hike with Inca Trail Reservations was the most exciting, amazing, and spectacular thing I have ever done. The hike starts off with an amazing first day, camping between glaciers, and hiking to the highest glacier lake with the spectacular views couldn't be beat. 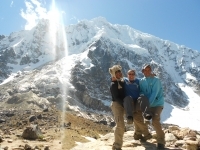 The Salkantay trek! What an amazing experience. 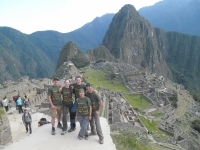 This trip included a great combination of adventure and culture. It was a well rounded tour with very informative and enthusiastic tour guides. The tour guides, chef, and team made the trip incredibly enjoyable! The food was amazing and was a nice variety of Peruvian style food.